It’s astounding really… more than 1 in 10 American adults have chronic kidney disease and millions are at risk. The disease is typically caused by high blood pressure and diabetes, which the CDC reported in 2013 as two of primary causes of death in the US. Even more recently, studies have placed kidney disease at number 8 in this list. Globally, we’re looking at a 165% increase over past two decades – so we need to do something. Dialysis is the most common treatment for kidney disease, it removes toxins and fluids from the blood to help extend a patient’s life, but with that 165% increase – facilities are under tremendous pressure to deliver quality care. With mobile tools, like miVEDiX, we’re trying to connect physicians with information that will streamline their medical processes and give them more time to evaluate their patients. 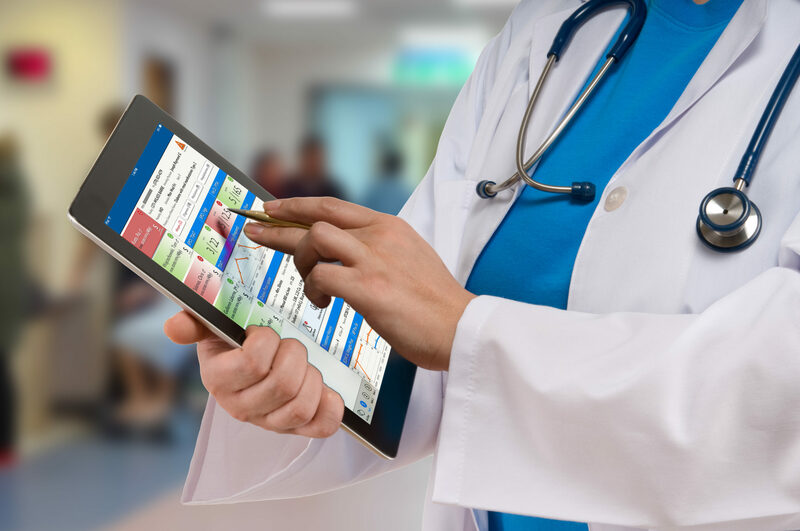 We’re able to do this by focusing on an extremely simple user interface that the physician can take with them on their mobile device and use it to access multiple patient health records at once. At the end of the day, the rate of kidney disease cannot be addressed by current infrastructures, but we can optimize existing resources with technology – and it doesn’t have to be a pain-point for physicians. EHR visualization is a relatively new concept, but data visualization isn’t. The business intelligence industry knows that visual analytics increases data comprehension, optimizes the speed of understanding of information, and even helps with long-term retention. So, in theory, if we’re able to encourage physicians to think more critically about their patients’ health, we’re giving them the power, on a local and global scale, to prevent of kidney disease, discover new treatments, and improve quality of care. At iVEDiX, we’ve started making this Health Care vision a reality by developing a physician rounding app. Rounds an important time for gauging patient health, and miVEDiX makes it easier by consolidating patient health histories, flagging critical health conditions, and acting as a hub for recording new patient information. Through miVEDiX, not only have we been able to securely improve operations, but also improve patient care. iVEDiX is working to put these same technologies in the hands of patients, so that they can take an active role in avoiding preventable diseases. Wearable technologies, like watches and monitors, get us one step closer to making health information meaningful to daily life, but it’s up to health care providers to partner with technologists, in order to make this happen. Our platform is just one example of a mobile technology that is easy to use and simple to deploy in any IT environment. If you want to make a difference in patient care, operational efficiency, and physician satisfaction, it’s time to start looking at the technologies that are moving the rest of the world forward.